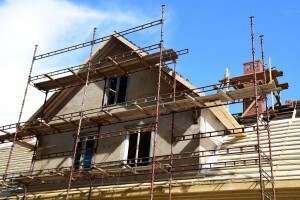 Why Do You Need Renovation and Conversion Insurance? For something as simple as an extension to your home or property, insurance can become a traumatic issue once you discover your existing household or buildings insurance policy has become void because the property isn’t secure, plus, who is responsible for insuring the work in progress? You? The builder? Talk to one of our insurance experts about Renovation and Conversion Insurance for your property. What Will Your Renovation and Conversion Insurance Cover? Don’t let all of these Renovation and Conversion Insurance issues turn your dream of an improved property into a nightmare. At Prizm Solutions we believe the solution is a bespoke Renovation Plan policy underwritten by Lloyds of London. The policy will cover your existing property and the building works in progress. It’ll cover your Public Liability and unlike most types of insurance, this renovation and conversion insurance policy can be flexible enough to cover when the works are actually taking place – not just for a fixed 12 month period. The policy can even continue to provide cover once the works are complete and the property is awaiting sale. Both Residential and Commercial properties can be insured. And, subject to the full details we need being provided, you can be instantly insured. What Should You Do If Your Existing Insurer Doesn’t Cover You With Renovation and Conversion Insurance? You should always tell your insurers when you’re having significant work done on your property and don’t be surprised if they don’t give you the answer/cover you’re hoping for. That’s why Renovation and Conversion Insurance exists and why we, as your local friendly insurance broker, can help protect you. Whether you are a home owner looking for help with insurance for a residential project or a business owner working on a commercial endeavour our award winning team of insurance professionals are here to assist you with your Renovation and Conversion Insurance. We are insurance brokers based in Tamworth but serve clients across the local Tamworth, Lichfield area and across the UK. No question is too small to ask. Please just give us a call or drop us an email.